You may not realize it yet, but by the time you finish reading this page, you will feel certain that your biggest, most important dreams are easily within your reach. The further on you read, you'll begin to understand why up to this point, you have been "unsuccessful" and how by making a few simple adjustments in your mind set, attitude, and behavior your lifelong dreams can finally become a reality. Because the truth is, no matter who you are, where you are from, you are capable of achieving and experiencing SO MUCH more than you THINK. Six months from today, you wake up living in a wonderful home that meets all your wants and needs. You gaze out of your window, overlooking the surrounding environment and smelling the scents of the morning air. As you eat a healthy breakfast and prepare for the exciting day ahead, you feel a refreshing rush of energy through your body. Riding this warm wave of excitement, you head off to work where you pursue something you are truly passionate about. The funny thing is, you wouldn't even call it "work"
because it's something you thoroughly enjoy. Once you arrive at your workplace, you instantly reminded of how well respected and appreciated you are by peers for the great services you provide. The day flies by. Every moment you feel as if you're on top of the world. You are almost unstoppable. As your work day comes to an end and you come home happily exhausted from another successful, fulfilling day, you are warmly greeted by those who matter to you most. You share stories, laughs, and soak yourself in the warm vibes of the moment. Finally the day is over and you get into bed. As you relax and get comfortable, a bright smile sneaks it's way onto your face. "What will tomorrow be like?" Wouldn't It Be Amazing If This Happened For YOU? Well, it's completely possible when you use the proven process I'm about to share. It's a process called Dream Setting and it's about clearly defining the dreams you have in your life, and putting you on the correct path to making them a reality. It's worked for the hundreds of people who have tried it, and I strongly believe it can work just as well (or better) for you. But before we get into all the details, let me briefly introduce myself. 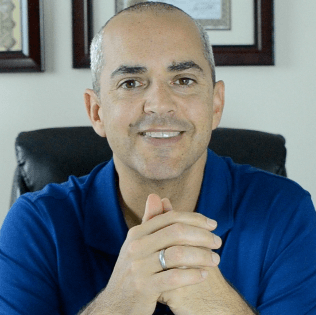 My name is Jim Katsoulis and I am a Certified Master Hypnotist by the National Guild of Hypnotists and a Certified Neuro Linguistic Programming Trainer by The Society of NLP. During my 10 years of experience in both fields, I've done around 3031 private hypnosis sessions, 107 teleseminars, worked with people from all over the world, and taught numerous private work shops and trainings online. I've also created a total of 6 courses and sold over 12,630 copies of them. I noticed some of my clients did not have a clear direction of what they wanted in life, and they limited themselves to goals that were too small. So I set out on a personal mission to find out why. And what I discovered forever changed the way I thought about goal setting and achievement. It's no secret that the greatest achievers who have ever lived, got there because they "followed their dreams" right? And I'm sure you're intelligent enough to realize that people who TRULY follow their dreams often end up getting there. When you look around, history is riddled with inspiring quotes from great minds who tell us how important it is to listen and follow one's dreams. It's obvious that dreams matter. So Why Haven't Your Dreams Come True? Chances are, at one point in your life you set a big goal. You got excited, maybe created a plan, and started taking action. Then, the next thing you know, you're motivation is GONE and you're constantly encountering struggle every step of the way. And to make it worse you have no clue why it's happening. What's surprising is that you ARE NOT the only one. In fact, this is EXACTLY what some of my students were experiencing! The whole idea of "goals" are the problem. Goals have that somewhat meaningless "get there fast " mentality, don't they? And sometimes goals get you so hyped up for that future moment of achievement, that you completely lose touch with the present moment. You've probably seen for yourself that it can be very frustrating when goals feel more like chores than anything else. And let's face it, setting goals can even be SCARY. Have you ever set a goal, and felt like you're "locked in" and you can't give up, because then you would be labeled a "quitter"? "This idea seems kind of flawed doesn't it?" I mean, why would anyone want to struggle while constantly dealing with the fear of failing in the back of their mind just to get to some future destination as fast as they can? And it also makes you wonder the point of doing any of this in the first place. It's pretty clear that when you start questioning your motives, you lose excitement and that burst of motivation you had in the beginning starts to fade. And we know that motivation is a VERY important factor in achieving anything. So Why Does This Happen When We Set Goals? The reason this happens is because goals draw their energy from the CONSCIOUS MIND. The conscious mind is simply that rational, logical part of you that chatters to yourself during the day. It's the part of your brain that tries to "figure things out" and find "reasons" for why things happen... even when there aren't any. Simply put, the biggest problem with using your conscious mind to achieve goals is that your conscious mind heavily relies on will power to get things done. And We Both Know Will Power Doesn't Last Very Long. Sure, you can force yourself to set a goal, and try your hardest to stick with it. Maybe it will work. Maybe it won't. The point is, the whole idea is just flawed. Basically, you're fighting AGAINST your own habits and going against the current. And if you don't remove limiting beliefs you cripple your chances of any future success. Your brain has spent years learning to do things a certain way. You have your daily routine, and you're pretty much set "on track" with where your life is going. Now, all of the sudden, you come along with a goal & expect everything to change? Sorry, but it just doesn't work that way. No matter how much you try to push, fight, or force yourself to succeed, your beliefs will keep you right where you have always been. The key is knowing how to change your beliefs to support the dreams you want to achieve. Basically, when you have the right beliefs that SUPPORT your dreams, your daily habits naturally fall into place, and you start heading in the direction of your dreams automatically. That's because dreams are powered by beliefs that reside in your subconscious mind. And science tells us that the subconscious mind is very powerful. How often do you have to THINK about brushing your teeth, taking a shower, driving to work, making dinner, when to go to sleep, or when to wake up? The answer is never. That's because your subconscious mind handles ALL of this. Move In The Direction Of Your Dreams ? You can when you know how to properly "set" your dreams. Once you know how to dream effectively, by bringing out that childlike dreamer inside you that believes anything is possible and the sky is the limit, you're naturally motivated to make it happen. When your dream is set in your mind, you find new meaning and a true sense purpose to make every day a new chapter in your life. As you pursue your dream, you're free from "failure" because you aren't tied to strict deadlines and exact specific outcomes. Plus, if your dream is no longer important to you, you can just scrap it. No big deal. Because once your beliefs are in line with the life you truly want, it's easier to make simple course corrections since you know where you're going. When you have a CLEAR idea of what dreams are important to you, and believe from the START that they are possible, than it's MUCH easier to move towards them. Dream Setting is a step by step process, divided into 4 easy to follow audio files, that helps you clearly define the dreams you have in your life, and puts you on the correct path to making them a reality. You'll discover everything from how your mind works to how you can use it to get the success and outcomes that you truly want in life. • The fundamentals and basics of the dream setting philosophy broken down in clear, simple terms. • The crucial difference between conscious and subconscious mind... and what this means for you and your dreams. • Exactly how the unconscious mind operates ... AND the secret reason why it's difficult to shed unwanted habits, even when logic tells you to immediately get rid of it. • What the R.A.S. is - and how to train it to automatically seek out opportunities for you 24/7. HINT: Have you ever bought a car, then suddenly you see everyone else has that exact same car... everywhere you go?That's the R.A.S. at work! • How to program yourself to consistently move in the direction of your goals and dreams naturally and automatically. • The two components that make up your emotional state - and why it's absolutely vital to understand and use both to your advantage. • How to dream effectively - without that nagging voice in your head telling you "you can't do that" every step of the way. Leave the critical mind, limiting beliefs, and doubts all aside. • The one question you must ask yourself and the attitude you want to have before you begin to dream big. • The specific emotional state and mind set you must have in order to connect with the dreams that are most important to you. • The 4 most important areas of your life (Physical, Emotional, Financial, Spiritual) that you must focus on to create a balanced life that naturally supports the manifestation of your dreams. • The real secret to setting your dreams to ensure you stay motivated and focused until they manifest. Later in this session, I gently guide you into a clear, deep, relaxed state of mind unlike anything you have ever experienced. If you think this is just about breathing deeply and slowing down, think again. This is truly beyond relaxation. As you feel your body melt away, the only thing left with be a clear state of awareness that's completely open and ready to accept the dream you want to achieve. Your mind will explode with new possibilities of what you can do and experience in life and limits become a thing of the past. Further into this hypnotic session, you'll naturally tap into your deepest dreams ... even the ones you have been afraid to acknowledge. Yes, those dreams - the ones that make you say, "could this be my life purpose?" Then you'll come out of this state feeling nearly unstoppable. You'll be asked to start writing down your dreams. And as you start writing, ideas will be pouring out of you. Your hand will become possessed with all your deepest dreams you've kept suppressed for so long. You will feel as if you don't want to ever stop writing. • The two truths of your unconscious mind you must understand and correctly apply in order to actually manifest your dreams. • The exact way your goals and dreams must be communicated to your subconscious mind in order to get the most power out of them. • Why making your dreams extremely vivid increases the chances they will manifest into your life. • How doing the things you really want can make you truly happy and satisfied in all areas of your life. • Why you should always make your goals things that YOU want - and the numerous positive effects this can create in all areas of your life. • The crucial importance of having both short-term AND long-term goals - and why this is so important on a psychological level. • How to choose which goals and dreams are most inspiring and exciting to you by relying on your "gut intuition"
• A simple 2-step process to gain absolute clarity on which goals and dreams are MOST important to you so you can begin focusing and achieving them immediately. • Discover your secret weapon to achieve anything you want in life, overcome any obstacle, find any solution, pull yourself out of any depressed state, and skyrocket your confidence and emotional well being to an entirely new level. • The right way to ask questions to help you solve any problem ... no matter how big or small. • What your "servo-mechanism" is and how to set it automatically adjust to ensure you stay on course to achieving your dreams. • 1 simple thing you can do in less than 3 minutes to bring yourself out of a negative, depressed state of mind, into a positive, excited mood where things just "click" for you. • How the understanding that your goals are a means to an end can help you consciously influence your emotional state of being and experience the exact emotions you'll feel once you've reached your dream. • Why being confused, frustrated, and second guessing whether or not your dreams are even possible is actually a GOOD sign that you are on the right track. Hint: It's simply a phase you go through. Think learning how to ride a bike. • The 1 powerful question you MUST ask yourself everyday to have an unstoppable wave of momentum propelling you forward towards your dreams. You'll know the exact actions, thoughts, and feelings needed to make it happen! • How to experience your dreams NOW - not 5 years or 10 years from now. • How you can literally "skip time" by actively using your imagination this way. This allows you to influence the feelings you have and influence your behaviors. • How holding the principle "life is a journey not a destination" true to yourself can give you a renewed sense of freedom and happiness. • How to use "associative conditioning" to influence your unconscious mind to feel wonderful about the dreams you have so you're naturally excited to do whatever it takes to make them a reality. • How often you should focus on your dream to make it a reality. • 5 things you must do to automatically stay in alignment with your dream. Hopefully you're starting to see how the powerful changes that are possible when you apply the principles I teach in my program. But I have to admit, what you've seen so far is just HALF of the story. A key factor in achieving the most in life is experiencing a calm and balanced emotional state. 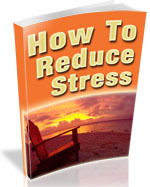 "How To Reduce Stress" will show you how to do it naturally. •What is Stress? Discover the real function of stress and how to manage and control your reactions to it. • How To Control Stress - The underlying cause of stress and the 1 thing you can do to control it. • The best mental state to access your subconscious and rewrite your preprogrammed responses to stress. • Self Hypnosis - How to use a self hypnosis technique called "Fractional Relaxation" to relax and reduce stress. • How to use the "Rapid Induction Technique" to quickly put yourself in a pleasantly relaxed state. • The three tools that you can use to enter a completely self-induced state of deep relaxation at your will. • Other Stress Reducers - 12 simple things you can do anytime to reduce levels of "cortisol", a potentially damaging stress hormone produced by your body. • How you can use meditation to reduce anxiety, lessen work related stress, and even lower blood pressure. • 3 powerful natural herbs you can find at your local health store to help reduce anxiety and tension. You know that will power doesn't work for very long. That's why you must have your dreams programmed into your unconscious mind to naturally stay motivated and focused. In this self hypnosis session, I will help guide you into a relaxed trance state where your most cherished dreams can be installed deep into your unconscious mind. Once your unconscious mind is on your side, your habits, beliefs, and actions fall into place to naturally make your dream a reality. It's clear that if you don't change your beliefs, achieving your dreams becomes a constant, never ending struggle. That's why resolving conflicting beliefs BEFORE you set out to manifest your most exciting, fulfilling dreams is so important. In this 15 minute session you'll be guided through the entire process of using your imagination to begin eliminating conflicting beliefs, allowing your new beliefs and dreams to happen gently and easily. Now it's easier than ever to upgrade your old beliefs into positive, supportive beliefs that uplift, inspire, and motivate you to just go for it. I know there's a lot of material in the Dream Setting program so let me quickly summarize the whole package for you. • The Dream Setting Program - A total of 4 comprehensive sessions, including over 2 1/2 hours of professionally recorded material in Audio MP3 format to guide you through the entire Dream Setting process. You'll learn how to clearly define your dreams and naturally get on the right path towards achieving them. • Bonus #1 - "How To Reduce Stress" eBook - Learn how to naturally experience a calm and balanced emotional state at your will. • Bonus #2 - "Living Your Dream" Self Hypnosis Session - In this self hypnosis session I help guide you into a deep trance state and install your new dreams deep in your unconscious mind. • Bonus #3 - Resolving Conflicting Beliefs Self Hypnosis Session - A guided self hypnosis session where you use your imagination to eliminate conflicting beliefs and replace them with beliefs that support the natural manifestation of your dreams. How Much Are Your Dreams Worth To You? But I really want you to think about this! • "How much are my dreams worth to me?" • "What would it feel like to be on the path to making my life everythingI want it to be?" • "How much more confidence would I have knowing that I could achieve almost anything I set my mind to?" • "With this new knowledge, what type of positive impact can I have on the world?" Are you starting to see all the possibilities that can open up for you when you put the Dream Setting principles to work in your life? You see, Dream Setting isn't just a "one time" thing. It is a skill you will learn and possess for the rest of your life. Any dream you have in life, whether it be a job you love and enjoy, a nicer home, better relationships, more money, better health, or any other dream that truly means something to you, it is completely possible for you when you use Dream Setting. Plus, if my students can get the results they got, what do you think is possible for you? If you can dream it, you can do it. That may sound "cliche" but it's very true. Wait! I have to be honest here. I know I've made a lot of promises in this letter. And if you're skeptical, you have every right to be. So please let me clarify something. If you're looking for a program that will bring you vast sums of money, your dream home, a perfect relationship with someone you love, and all the material and non material possessions you could ever want the next morning after you listen to the material, then Dream Setting is definitely NOT for you. The truth is, no program can do that - not even ours. That's because real change takes time. But if you're willing to accept that and work WITH it by learning and applying the Dream Setting principles into your life, you will see many wonderful possibilities open up for you. RISK FREE For 60 Days. I'd like to send you a copy of this program to try RISK FREE. Order my Dream Setting program for $29.95 $10 and use it to clearly define your dreams and get on the path to making them a reality. If you like the program, just keep using it! And if you feel you haven't experienced incredible results from putting the Dream Setting principles to work in your life, just let us know within 60 days, and you get a full refund. It's really that simple.And to make it even easier, if you go through our program, decide it's not for you, and ask for a refund on day 60, I'll STILL give you a FULL refund, no questions asked! Even if you ask for a refund, you can still keep the entire Dream Setting Program PLUS all of the extra bonuses! I know this may sound crazy, but I strongly believe that my Dream Setting Program will make such a wonderful difference in your life that I'm willing to take this risk. When you click on the order button below, you'll be taken to a secure order page where you can safely order the Dream Setting program. Simply use a valid credit or debit card for your order. After you place your order, you will be given a link to access a web page where you can download the entire contents of the course, and the bonuses, instantly to your computer. I think you would agree that I could not POSSIBLY make your decision to order Dream Setting any easier. When you go through this program from beginning to end, I know you will see POSITIVE RESULTS and your life WILL dramatically improve for the better. You've read several real stories of students who have used my program AND you have seen their actual results, so you this works. I’m very serious when I say that there are several techniques on here that are EACH worth TEN TIMES the cost of the entire program by themselves. You’ll get to use them every day for the REST OF YOUR LIFE so you can become your best. I’m REALLY looking forward to seeing the results you get from Dream Setting. It’s taken me a long time to put this program together, and I’m proud to offer it to you. Click the 'Add To Cart' button below to download Dream Setting right now. I know it will make a difference in your life. P.S. Remember, when you order Dream Setting you'll be given instant access to all the materials and bonuses, so you can put the material to use in your life immediately. You can take your time to evaluate the entire program, listen to the hypnosis sessions, read the "How To Reduce Stress" ebook, THEN decide for yourself if it was worth the $29.95 $10investment. And even if you decide to ask for a refund, you get to keep the whole course PLUS all of the bonuses. What could be better? 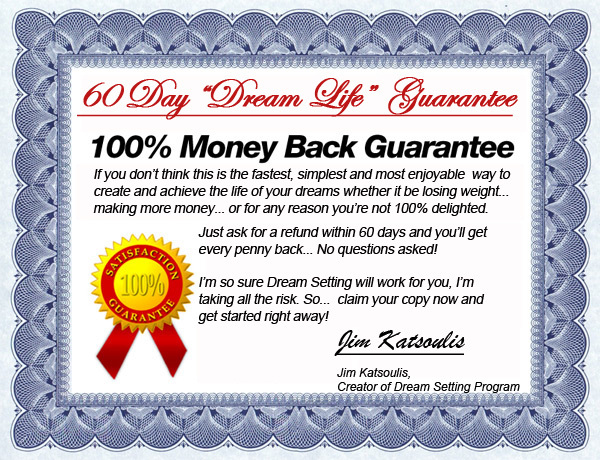 To claim your copy of the Dream Setting Program, CLICK HERE. I've taken many goal setting programs over the years, but this is easily the best because unlike the others you actually helped me to feel what it would be like to accomplish my goal, and that helped motivate me so much.